Here's another recipe from Konditor & Cook's new book, its definitely becoming one of my favourites. This time, Curly Whirly brownies, one of my favourite from their bakeries. 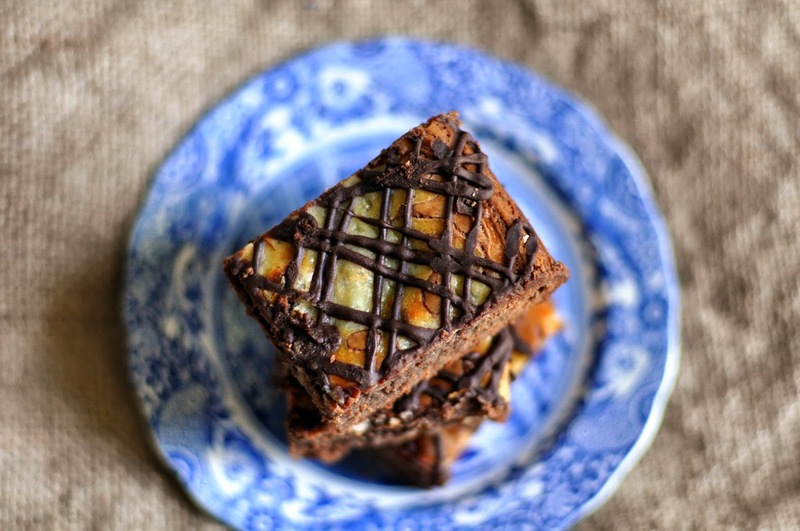 A dense fudgy brownie topped with a swirl of cream cheese. I couldn't resist a drizzle of chocolate also. 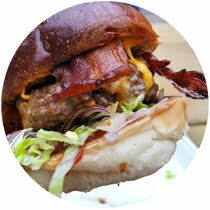 This recipe is slightly different to others I've used before. It makes all the difference for that dense brownie texture. 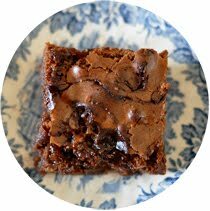 As Bon Appétit's 6 Common Mistakes People Make When Baking Brownies says, it really is all about the recipe, and good chocolate. 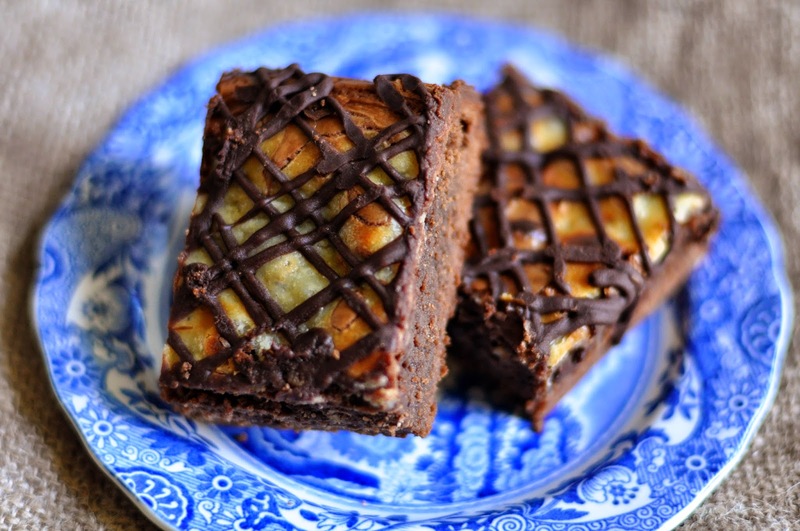 An ultra-chocolately brownie with a smooth vanilla cream cheese topping. K&C's infamous Curly Whirly cake in brownie form. Heat the oven to 180 degrees and line a 20cm x 34cm baking tray with baking parchment. Break the eggs into a mixing bowl, add the sugar and give a few whisks with a hand whisk or electric beater, then set aside. This helps the sugar to start to dissolve. Put the butter in a pan and leave over a medium heat until it has completely melted and small bubbles are just beginning to rise to the surface; be careful not to let it boil. Turn off the heat, then add the 54-60% chocolate and a third of the 70% chocolate. Stir until melted. Whisk the eggs and sugar a little more until they turn paler, then add the chocolate mixture and mix to a smooth paste. Sift in the flour and stir with a wooden spoon until completely combined. Finally stir in the remaining pieces of chocolate. Pour the mixture into the lined tray and level with a spatula or palette knife. To make the cheesecake topping, beat the cream cheese with the icing sugar and vanilla until smooth, then mix in the egg yolk. Transfer the mixture into a piping bag fitted with a 1cm nozzle and pipe it onto the brownie mix in parallel lines about 3cm apart. Drag a fork or knife through the cream cheese and the immediate surface of the chocolate mix to feather it. Bake for 22-25 minutes in the top half of the oven. This should guarantee that the cheesecake topping develops some colour without overcooking the brownies in the process. Leave to cool in the baking tray. The brownies should have a soft centre and fudgy appearance when cooled. Cut into squares, I made 16 but smaller or larger squares can also be cut. 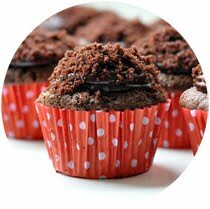 Find another recipe from the book here, wheat-free hazelnut cupcakes with hazelnut buttercream. 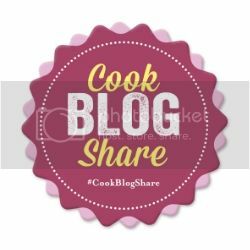 Check out Supergolden Bakes fab new Cook Blog Share. Link party! Perhaps a silly question but timings and temperature I know make a lot of difference! Where you've said preheat your oven to 180 degrees, would that be the temperature on a fan assisted oven or a normal setting? 180 degrees is a standard oven temperature so, like in many of my other recipes, this is without fan, unless stated otherwise. Hope this helps! They were great! I have to make them again for my work's bake off this weekend. 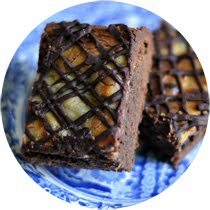 I want to call them curly wurly brownies because they sound more fun, reckon I can get away with that without adding the drizzled chocolate? If not, what's your drizzled chocolate method? Glad to hear you enjoyed them! They don't need the chocolate drizzle really, the cake shop where the recipe is from don't do it! 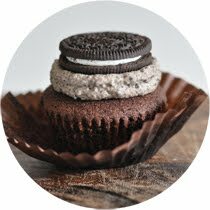 If you do decide to, melt 100-150g of chocolate slowly and gently in the microwave, pour into the corner of a sandwich bag, cut a small hole and drizzle over! Hi Sophie! 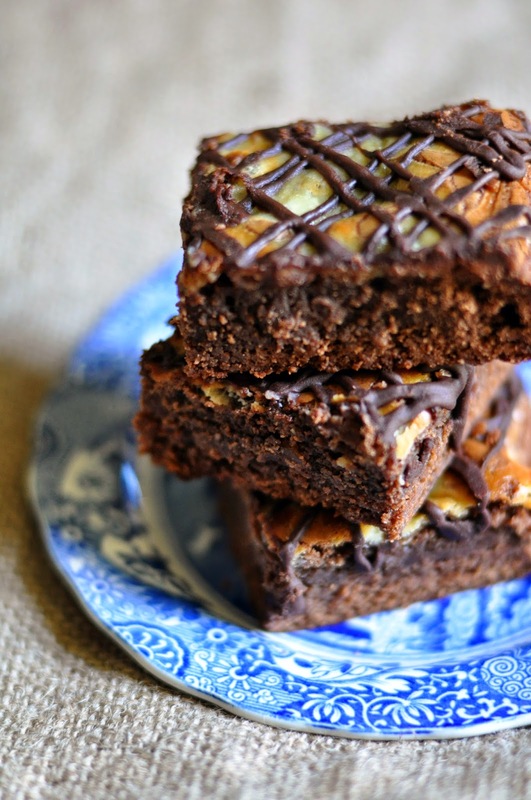 Is it normal to use salted butter in brownies? The ones in the photo look delicious!! !